GJD, the designer and manufacturer of external detection and LED illumination equipment, has announced the appointment of ezCCTV.com as its new national distribution partner. Based in Hertfordshire and an authorised official Hikvision distributor, ezCCTV.com supplies digital and IP surveillance solutions. Models in GJD’s D-TECT range of detectors reliably detect people and easily integrate with third party VMS providers and CCTV systems. The product range performs well in all weather conditions without fail or false alarm. Camera analytics has driven demand for reliable human detection. For their part, GJD’s products have been capturing genuine alarms for over 30 years, providing both end users and installers alike with peace of mind that critical events will never be missed and that false alarms will not occur. The D-TECT motion detector range is designed for intruder monitoring, CCTV surveillance and other alarm warning requirements. The detectors provide both volumetric and long-range narrow field of view sensing plus remote programming. D-TECT IP detectors integrate with Hikvision’s I Series and K2 Series NVRs, which are said to deliver “remarkable advantages” for end users including quick and efficient installation, minimum maintenance and remote access. Installers can change detector settings via a secure web-based interface. Other products in the GJD range include Clarius PLUS LED illuminators. These produce powerful and even illumination, in turn assisting reliable detection and deterrence. Clarius IP provides smart lighting solutions, which can be integrated with IP cameras and CCTV systems. Every Clarius light includes a lens diffuser pack so the beam spread can be easily adjusted on site. GJD Security has hit the ground running in 2019 with the appointment of Jason Hill as the company’s new commercial director. Mark Tibbenham, managing director of GJD, has big plans for the British manufacturer of external motion detectors and LED illuminators and has recruited Hill to help deliver on his aspirations. Jason joins GJD from Taiwanese surveillance manufacturer LILIN, where he was UK managing director for 20 years and, latterly, Group vice-president. Hill has worked in the security industry since 1990, predominantly with manufacturers. Founded in 1983, GJD manufactures, designs and supplies professional external detector equipment, as well as infrared and White Light LED illuminators. The company’s head office is located in Heywood, Greater Manchester. GJD, one of Dahua’s UK Technology Partners, will be exhibiting at Dahua’s first ‘Technology Showcase’ event on Tuesday 17 October at Lillibrooke Manor in Maidenhead. GJD will demonstrate seamless detection integration of its range of IP-based outdoor detectors and illuminators with Dahua Technology’s NVRs. GJD will also present its award-winning laser technology and show how it’s helping to protect sensitive sites – such as prisons and airports – from increasingly popular drone intrusion. Dahua will be running four ‘Technology Showcase’ events throughout October and November. These events are designed to offer the latest cutting-edge security technology in a brand new event format. Instead of the usual theatre-style presentations, there are eight key ‘Technology Zones’ featuring fully-interactive, hands-on product demonstrations for attendees. GJD’s security solutions rapidly identify genuine alerts, reduce false alarms and optimise the call-out of responders, making their products a truly valuable asset to both people and properties in all industry sectors across the world. Greg Stuttle, GJD’s business development manager, commented: “We’re delighted to be one of Dahua’s UK Technology Partners and to be exhibiting at the company’s first ‘Technology Showcase’ event. We will showcase our latest technology solutions and demonstrate how they improve security for a wide range of sectors and applications”. During each event, GJD will be giving away a 30 metre outdoor IP motion detector (D-TECT 2 IP – GJD230). The D-TECT 2 IP provides end users with real-time remote monitoring access via a secure web-based interface, enabling them to monitor from any location and at any time. All four events are open from 9.30 am with last entry at 4.00 pm. Delegates have the freedom to arrive at any point during the day. Numbers are limited so pre-registration is advised in order to avoid disappointment. 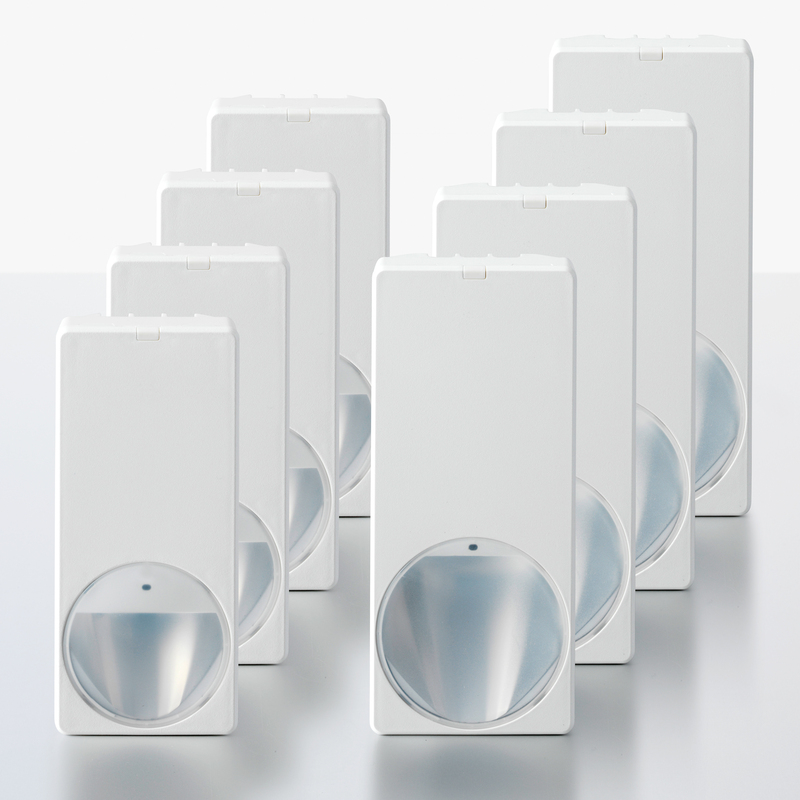 Vanderbilt has announced that its range of MAGIC dual motion detectors has been awarded four prestigious European approvals. The popular range has gained approval in line with the latest editions of the relevant French NF standards as well as the TO-14 (INCERT) standards that are applicable in Belgium and the Netherlands, the Italian IMQ and the German VdS accreditation. Considered one of the most important approvals in France, the NF standard confirms that products are suitable for use in applications where compliance is required by the end users of security systems and by their insurers. Similarly, INCERT is recognised all over Belgium and the Netherlands where the markets demand high end products and systems. IMQ is Italy’s most important certification body and a European leader in conformity assessments and laboratory testing for a diverse range of industries. In addition, the MAGIC E-Bus device has also been approved in line with the EN50131 European Standards and also received German VdS approval. These approvals come just 12 months after the MAGIC PDM-IXx12/T and PDM-IXx18/T dual motion detectors were launched in order to offer reliable detection of intruders and high false alarm immunity. Their performance is based on an improved version of Vanderbilt’s Matchtec algorithm which combines passive infrared (PIR) and microwave (MW) channels to make “incredibly accurate” decisions on motion within a detection zone. The detectors perform well even under harsh conditions, such as in rooms with rapid and extreme temperature fluctuations that can create false alarms. Within their future proof design, the intelligent processing routines used in the MAGIC dual motion detectors are said to provide “unrivalled” reliability. This is because the Matchtec algorithm analyses the relative strength of the PIR and MW signals received from a moving object to make sound decisions. It’s possible to use multiple detectors in close proximity to each other since the algorithm reduces interference between the MW modules. As a result, they also comply with the new and significantly more demanding CE Regulations that came into force last year.